As some of you may know, I write guests posts for a few other blogs as well as some freelance writing work for magazines. 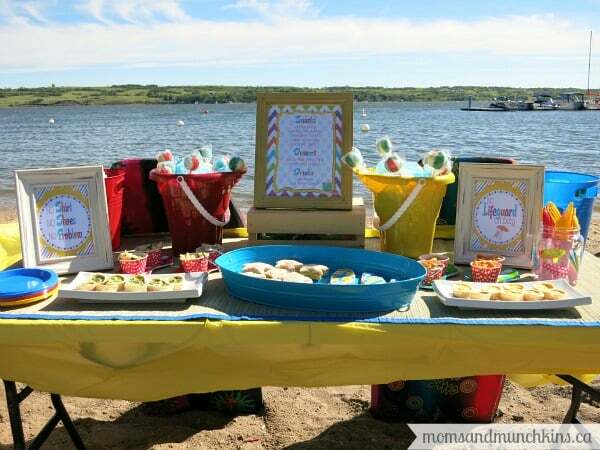 There have been several fun summer-related features in the past couple of months so I wanted to share these with you here as they’re all great for summer party planning. I love the way this Beach Picnic turned out on Forever Your Prints. I had to turn it into a Beach Tailgate Picnic due to poor weather but it all still turned out really cute. 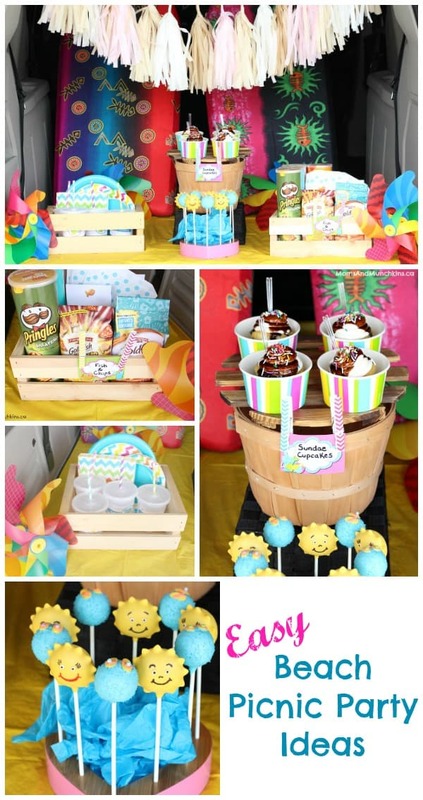 All the bright colors are perfect for summer and those sundae cupcakes were delicious! 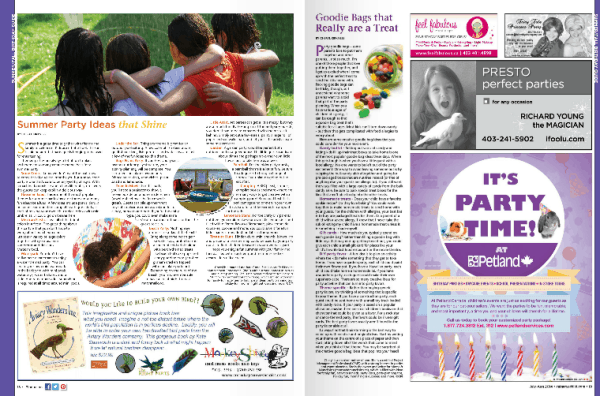 Each month you’ll find me in Pink Magazine Saskatchewan sharing an idea for family fun. This month I shared a silly Fun In The Sun Charades game that you can play as a family. Planning a party away from home and wondering what items to put on your packing list? Here are some items to consider when planning a party. Looking for some unique outdoor activities to enjoy with your kids this summer? Are you planning a road trip? Check out my Outdoor & Travel Games post on The Canadian Mother Resource. It includes a free printable Road Trip Scavenger Hunt Game. 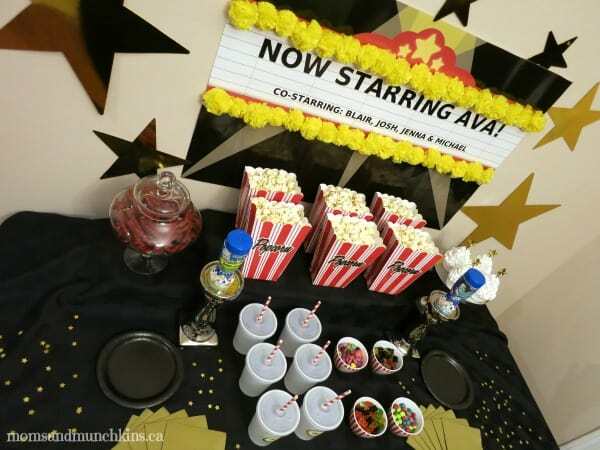 I love the way this Actor’s Academy Birthday Party turned out and it’s loaded with creative activity ideas for all ages! Looking for unique goodie bag ideas for party? Check out these creative goodie bag ideas. These summer party ideas are all easy to plan and they’re perfect for the warm weather months. Stay tuned for more exciting special features by Moms & Munchkins soon! Keep updated on the latest by following us on Facebook, Twitter, Pinterest, Google + and Bloglovin’.